Plywood industry has always been in the trade conflicts. It has been normal for chinese plywood exporters. On July 28th, the anti-dump meeting for chinese plywood exporters are arranged. The ministry of commerce, forestry and business attended the meeting. China Forestry Association introduce the the reporter, Ministry of Commerce annouced the investigation on hardwood plywood from China since 2012. They have been leading the plywood exporters with hard and long works to face the charges. On 7th Nov 2013, the ITC in USA judged that american plywood industry has not been injured by imported chinese plywood. China has won a period of peace time. However, on July 18th 2016, ITC notified Chinese plywood exporters that they will restart the investigation on hardwood plywood from China. There is a risk that our plywood will have to pay 73% general tax and 148% penalty tax. The ministry of commerce said the usa market is very important for China. If chinese exporters give up this market, other areas such as europe, Japan will start the investigation as well. The plywood association should lead the companies. Although the export business in china is not very good this year, but the forestry export business is better than average grade. Some business should not go against the charge. Otherwise the hardwork before are wasted. 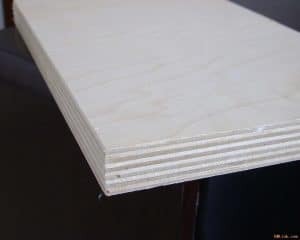 On the meeting many plywood manufacturers stated their opinion. They are going to work with the goverment and association to protect themselves from the anti-dump duty. After the meeting many business donated to the China Forestry Association to hire the lawyer.